Not much of a shooting day, cold and rainy. I finally found something besides tulips to shoot. 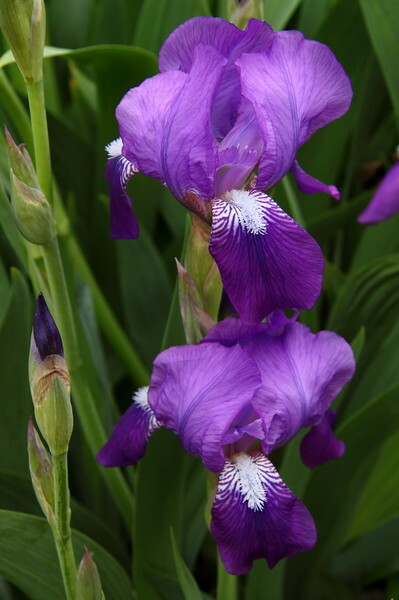 Iris's are one of my favorite flowers and the purple ones are so "royal" - this is a wonderful shot Art!!! Well done! Great color, detail and comp!!! Lovely image Art. Actually overcast is my favorite time to photo iris flowers. They are just starting to bloom here and I'm looking forward to the photo ops. Beautiful colors and comp. Love these beauties also. Wonderful colors and details. Lovely capture!